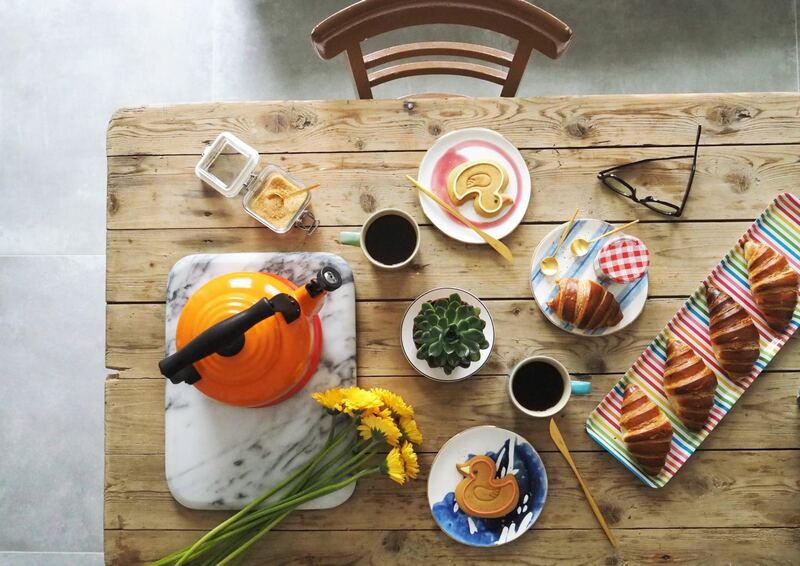 Life: Elevating Your Everyday With Simple Pleasures (+Choosing Electricals Which Look GREAT!) *AD* - Fashion For Lunch. As much as I would love to live in a Pinterest-esque world, sometimes I need to admit, it’s just not possible! Life gets in the way and by that I mean laundry, litter, washing up and that bedroom chair which always seems to have clothes piled on top of it. It doesn’t matter how often I fold them and put them away, there’s always clothes on there. However, I’m a strong believe in making simple (and affordable) changes which elevate your every day and allow you to find a lot of pleasure in the little things. This isn’t about moving to a penthouse flat or buying yourself an amazing new car, it’s about looking around and thinking about all the tiny things you do every single day, maybe even multiple times per day and upgrading them to make them feel special. Those scruffy old pyjamas which are no longer soft, but almost scratchy need to be thrown away and replaced with new ones. That discoloured bathroom towel can be bid farewell and your scruffy nylon purse from New Look in 1998 needs replacing for something fabulous too. Surely the things you use the most, should be the things you love the most! It’s an age old tradition, the tea ceremony, so why are you drinking Tesco’s basics builders tea out of a chipped, stained mug?! You’re better than that! Go through that overflowing mug cabinet and think about which ones you actually enjoy drinking out of. Ditch everything with a chip, or anything that never gets used because it’s too large, too small or you simply have no idea which flatmate you inherited it from, GET RID!! 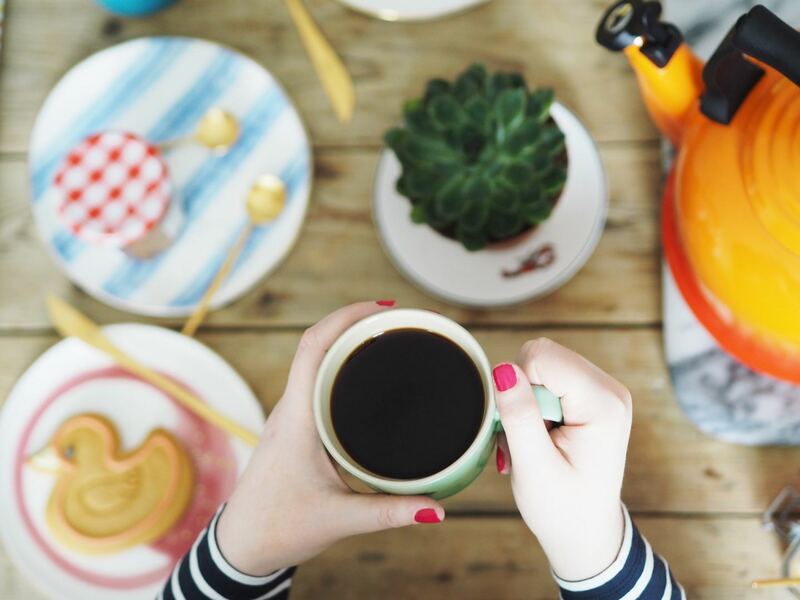 In reality you probably only need about 4 mugs in your cupboard, the rest is just clutter. 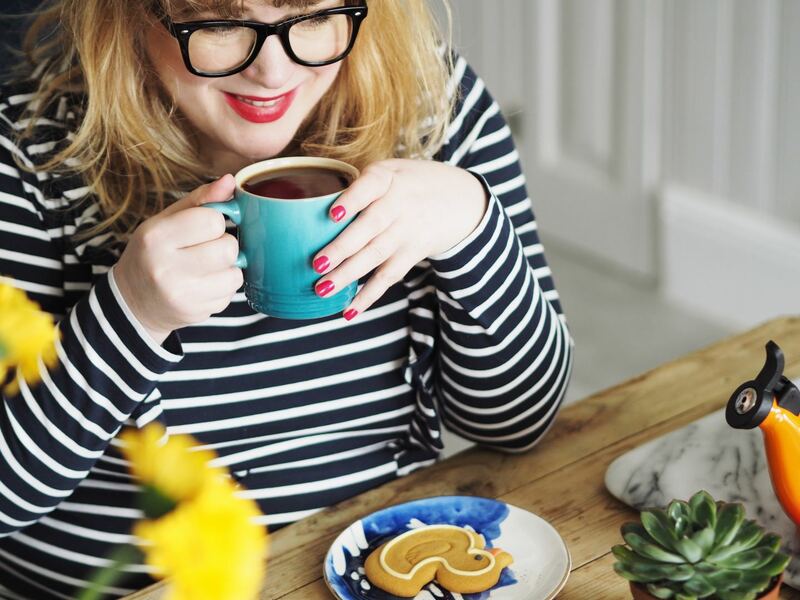 Don’t worry, I’m not going all minimalist on you, I’m just reminding you that your cupboard full of mugs dating back to the 80’s aren’t even necessary. It’s time to get rid of at least half of them and replace them with newer, shiner mugs which make you feel good about your breakfast / elevenses / lunch / bedtime tea. Oh and whilst you are at it, buy yourself some half decent tea bags, personally I love Teapigs, but I know a lot of friends who swear by Yorkshire Gold. Alternatively, I go nuts for a really good cup of coffee! Choosing Electricals Which Look Great! There was a time in my life where I would have laughed about the idea of ‘Kettle Shopping’. No really. A younger version of me would have scoffed and made a sarcastic remark about how I would rather spend my money on dresses and then promptly head to the nearest Asda to buy the cheapest kettle I could find. Oh how I’ve changed!!! 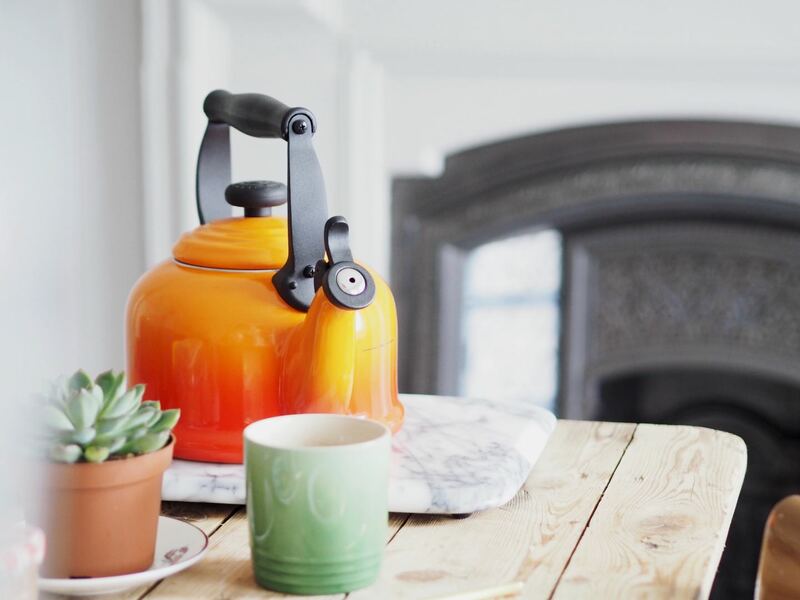 Over the past few weeks months, I have been combing my favourite online shops to find the perfect kettle; something that matches the colour scheme in the kitchen and combines function with style. My boyfriend liked the idea of Dualit, I wanted something a little more traditional and timeless. 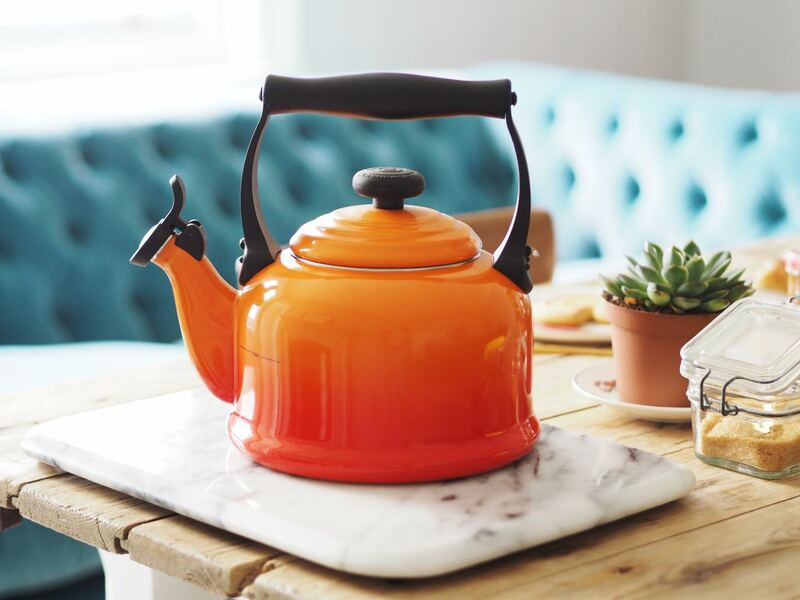 Eventually, we both decided we adore this Le Creuset hob kettle, I mean, seriously, isn’t it adorable?! We are huge Le Creuset fans in our house, I swear, once you cook in a Le Creuset pan, you won’t want to cook using anything else, there’s something about the way they conduct heat which works so darn well, and they are sturdy enough for even the clumsiest of cooks! Anyway, my point is, I know I put a lot of time and effort into finding the right kettle, but I flippin’ love this one! It looks amazing in my kitchen and every time I use it (which is about 10 times a day) it brings me joy. 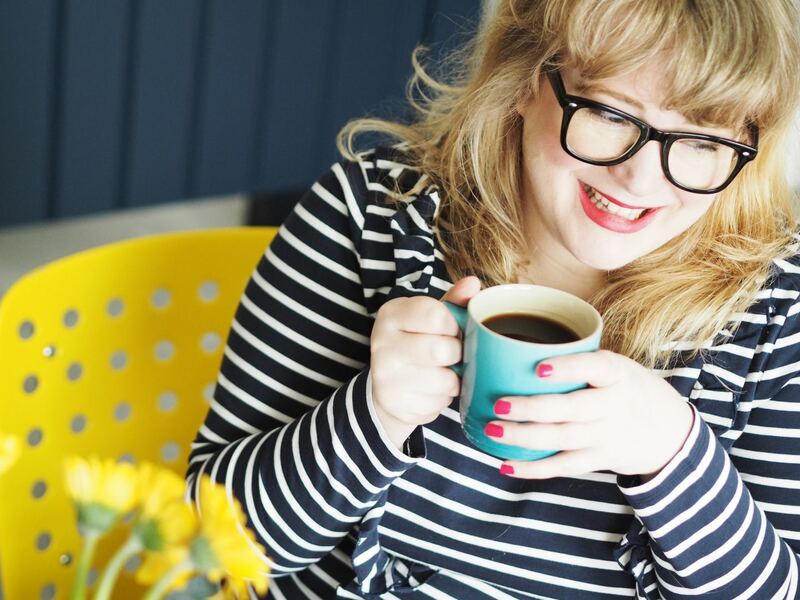 I can say with my hand on my heart, I would not get that same level of joy from a £5 budget kettle and instead of it taking pride of place in my kitchen, the budget kettle would sit in the corner and hope that no-one would notice it. Electricals can go either way, they can look cumbersome or cute, strive for the latter and love using them! 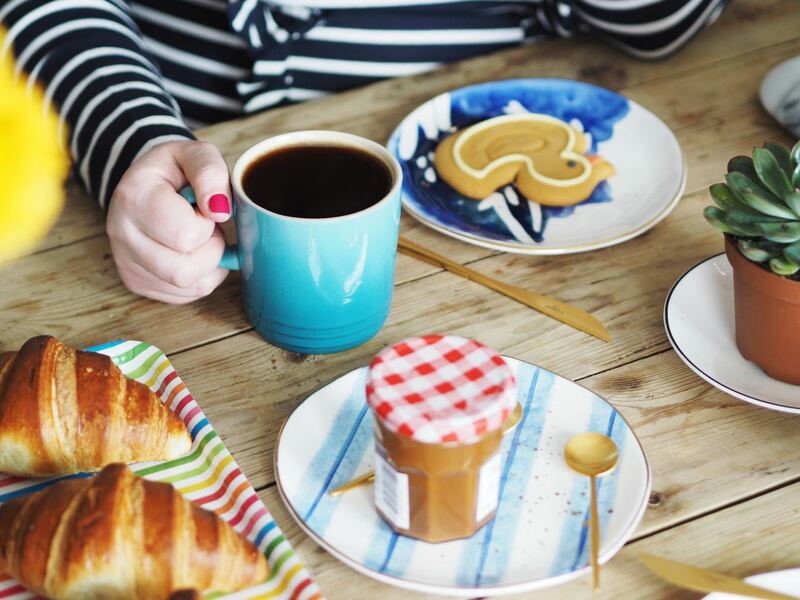 Also, right now, there is a home event at House of Fraser, so you can restock your home, kitchen, bedroom with oodles of beautiful items, all with up to 20% off (until the 8th April). 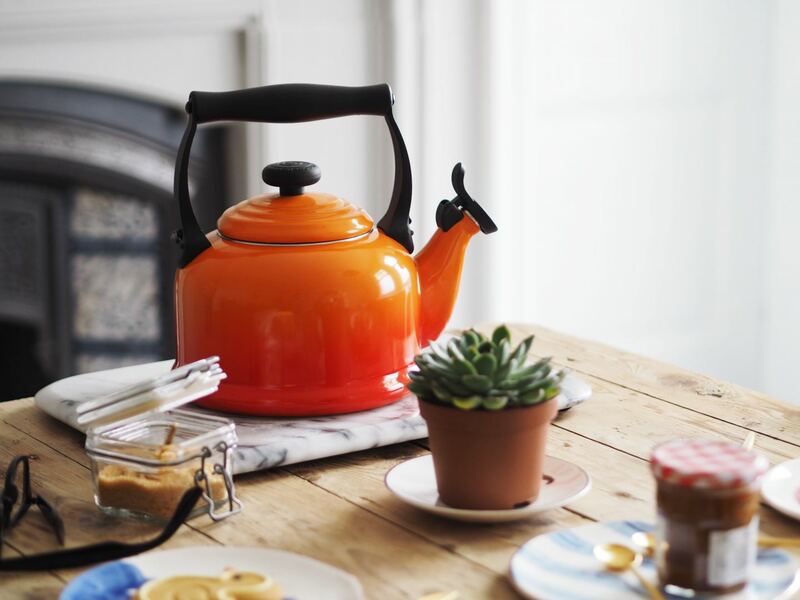 This Kettle for instance, is a classic style from Le Creuset and it never goes on sale, so 20% off is a great find because I know I won’t find it cheaper later in the year! 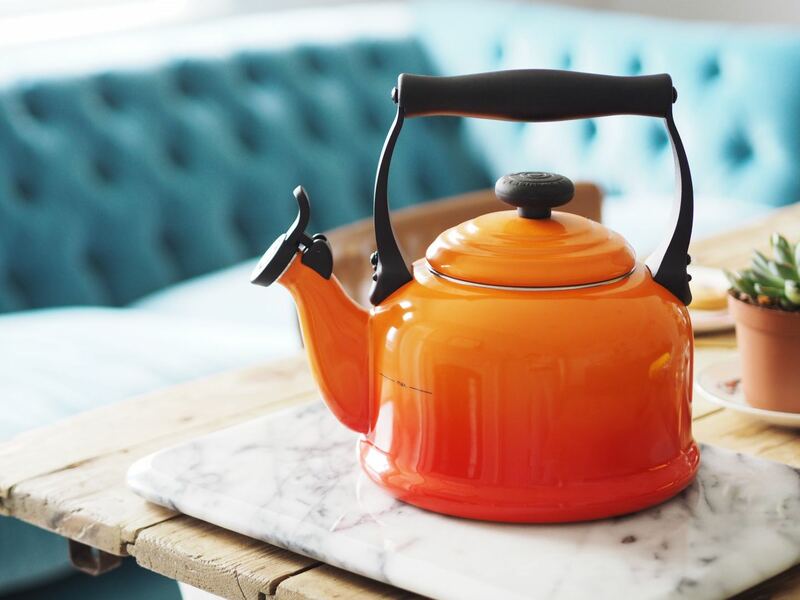 So, you’ve treated yourself to a kettle which makes your heart sing as loud as it whistles. 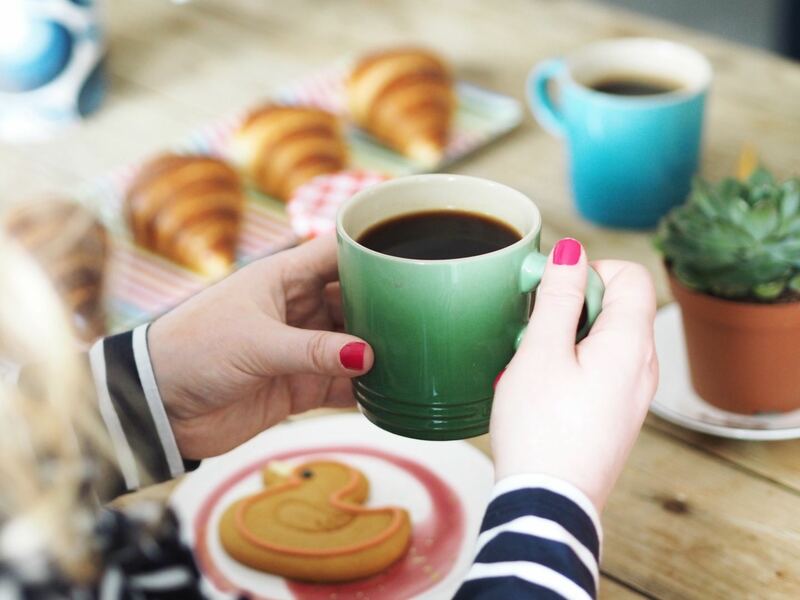 You’ve tossed your old mugs in favour of shinny, happy new ones. 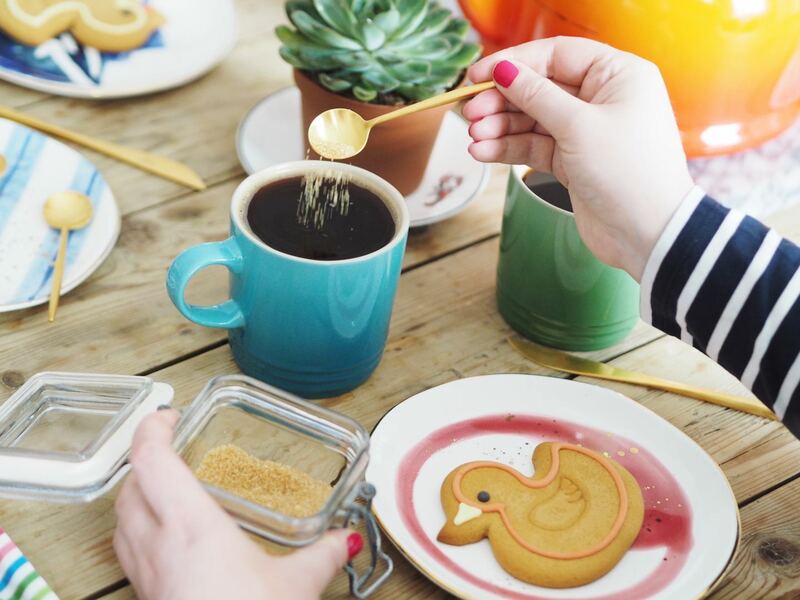 Now it’s time to decant your stolen-from-Costa sugar sachets in a cute Kilner Jar and serve with a gold-tone teaspoon. 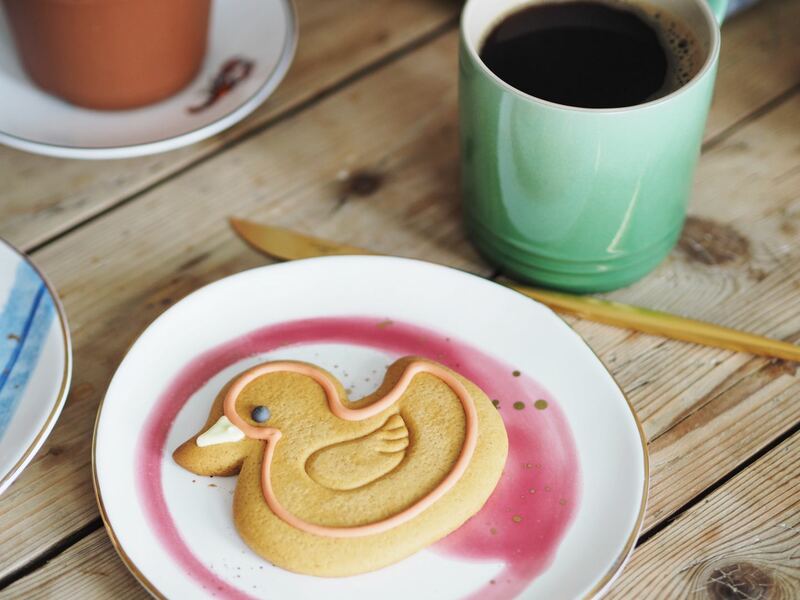 Pop your new mug on fancy coaster and enjoy that cup of not-so-basic tea, in fact, why not enjoy a crumpet and jam on the side. It’s time to enjoy the little things in life because sometimes they are what brings you the most happiness! Ok, so you loved that cup of tea (or coffee! ), but what other little changes can you make to your life? Well, here’s where the fun begins! Think about your morning routine and all the things you use on a daily basis. This could be anything from your towels, shower cap, shower gel or tooth brush. Maybe you have a wardrobe full of amazing clothes but you never wear them because you are saving them for a special occasion… are you crazy? Wear them and enjoy them! 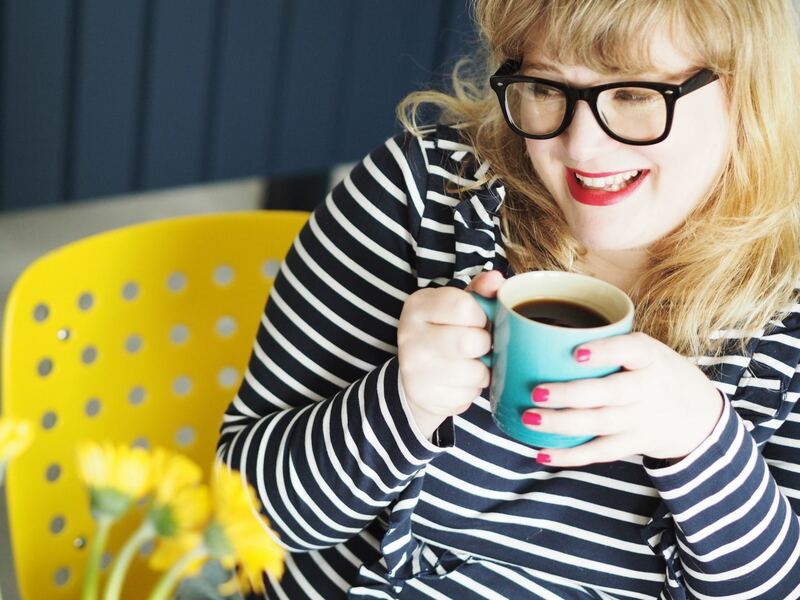 If your sick of pulling up your tights because they don’t quite fit, buy new ones, shop around and try out loads of different brands until you find a style and fit which is right for you and then bulk buy them! I always think bedtime is such a great time of the day, so buy yourself new pyjamas, fresh sheets (or give them a really good wash on a super high temperature with a scoop of vanish) and maybe a pillow mist. I’ve got plenty more, let’s discuss them over a hot beverage shall we? 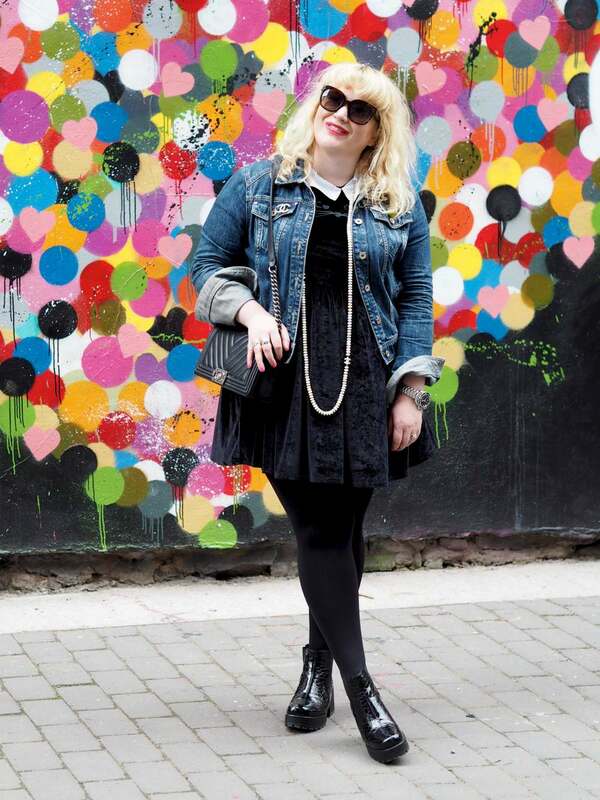 This post has been sponsored by House Of Fraser. As always, all opinions are my own. 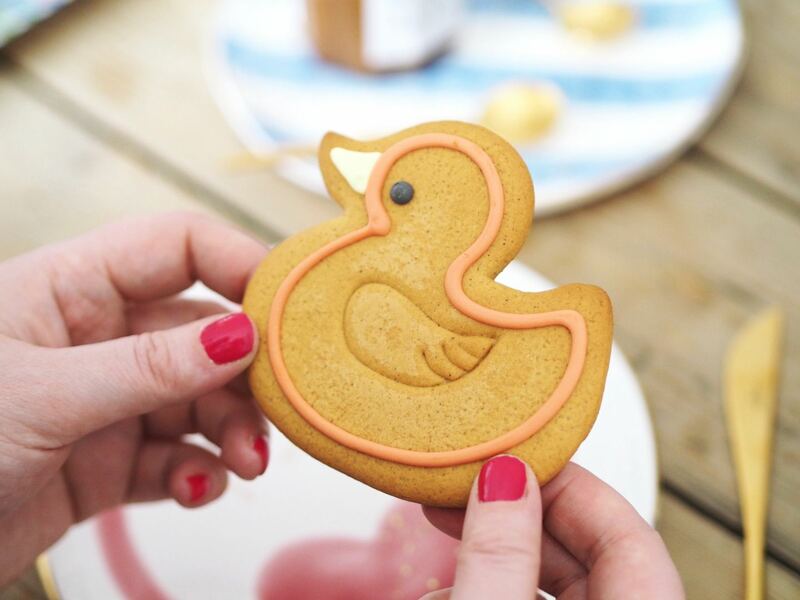 Love the photos in this post! And what a cute kettle.